Mix the curry paste with the coconut cream. 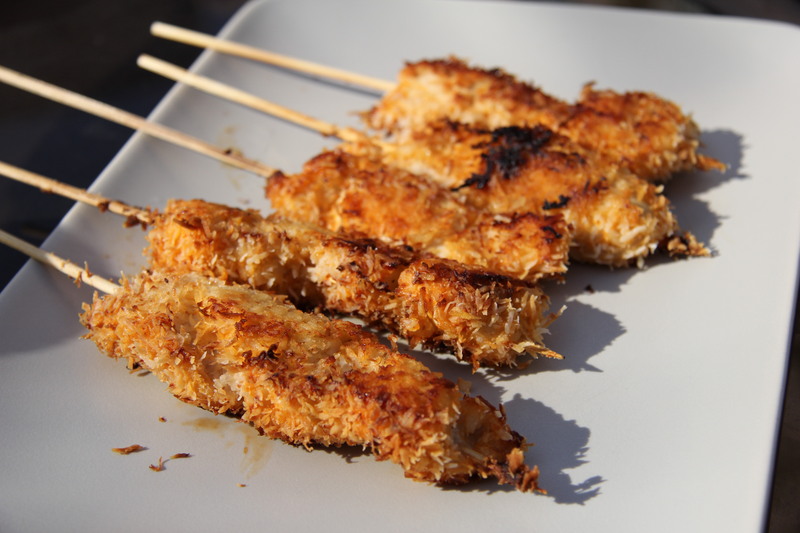 Add the chicken strips and leave to marinade for at least 2 hours (I prefer to leave the marinade overnight). 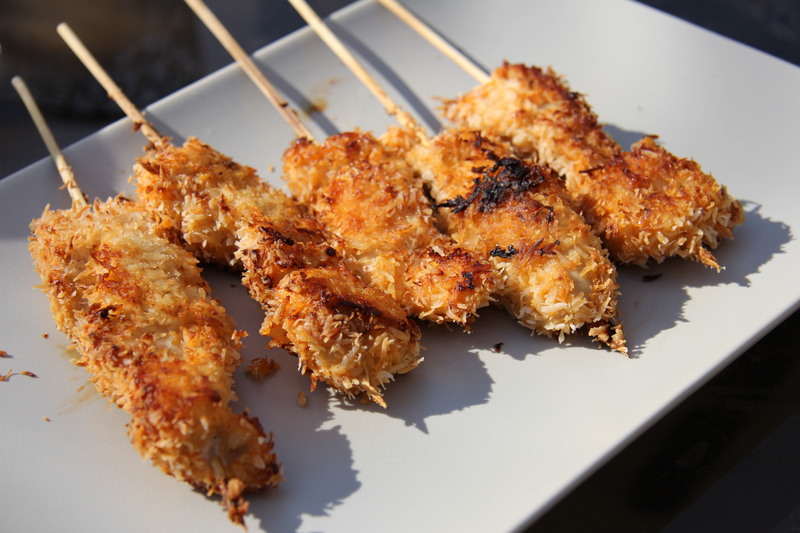 Thread the chicken onto wooden skewers and sprinkle over the dessicated coconut. Cook the chicken under a hot grill, for about 3-4 minutes on each side.